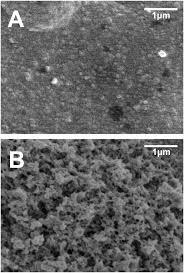 At what impedances should one gold plate 12.5-µm diameter nichrome wire tetrodes for targeting different brain areas? Extracellular electrophysiological recordings of rodent brains using tetrodes requires plating them with gold solution in order to achieve appropriate impedances. How does the ideal plating impedance depends on the size, depth of the desired recording structure, and the packing density of the objective cells? The ideal impedance of any electrode aimed at recording low-amplitude neural signals (barred suction glass-pipette electrodes for patch clamping) is simply: as low as possible. In case of tetrodes, i.e., electrodes consisting of a bundle of four microwires that can record from multiple neurons simultaneously in the brain of freely moving animal, they are usually electroplated to reduce their impedance from 2-3 MΩ to 200-500 kΩ (measured at 1 kHz). Low impedances increase the signal-to-noise ratio and allow for the recording of small-amplitude signals. Tetrodes with lower impedances could theoretically further improve SNR, but this is technically not possible with the standard electroplating methods, per an article from 2009 (Ferguson et al., 2009). A straightforward way of reducing impedance is to increase the surface of the electrode. Increasing the absolute size may very well be detrimental to the purpose of collecting single unit recordings, as larger electrodes inherently pick up the activity more neurons. A more feasible way is to increase the surface by means of altering the microstructure of the electrode, i.e., increase its roughness (Fig. 1). A method where tetrodes were plated with a gold solution with added polyethylene glycol (PEG) or multi-walled carbon nanotube (MWCNT) solutions was reported to to lower the impedance further to 30-70 kΩ. MWCNTs and PEG reportedly act as inhibitors in the electroplating process and create a larger surface area, thereby lowering the impedance on the tetrode tips (Ferguson et al., 2009). Not the answer you're looking for? Browse other questions tagged neuroscience methodology electrophysiology experimental-neuroscience or ask your own question. Are different types of long term memories stored in different parts of the brain? What research exists in the areas of formulating questions and “problem shaping”? Which are the multisensory brain areas? How does one make a decision between different cognitive tests for the same construct? How does it come about that specific areas of the brain are associated with specific functions? What would be areas of ethical or safety concerns with a smartphone app interacting with people sleeping?